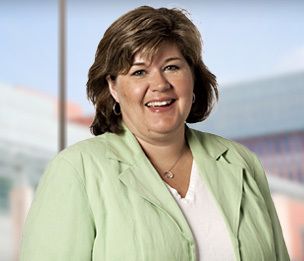 Jill M. Wheaton, based in Ann Arbor, is a Dykema litigator involved in high-profile appellate work, commercial litigation and products liability defense. She is the leader of the Firm's Appellate practice nationwide. In addition to handling or assisting in matters on appeal in which Dykema represented the client at the trial court level, Ms. Wheaton is often called on to enter the case for the first time on appeal in all parts of the country. In such cases, she has repeatedly obtained reversals of adverse decisions, or sustained favorable rulings. Ms. Wheaton is a leader of the appellate law community, as indicated by her professional associations, awards and speaking engagements. Ms. Wheaton has handled many high profile cases. In recent years, she has obtained review by, and favorable decisions from, the Michigan Supreme Court in 5 cases — Covenant v. State Farm, Sauerman v. Residential Funding; Kim v. JP Morgan Chase; LaFontaine v. Chrysler Group; and State of Michigan v. CVS Caremark, et al. She has represented Fortune 500 clients in commercial and products liability appeals in Michigan, California, South Carolina, Minnesota, Oklahoma, Missouri and Pennsylvania; and numerous federal circuit Courts of Appeals. Significant client representations in the products liability arena include her defense of Stryker in cases involving medical device product liability claims. Finally, Ms. Wheaton is an experienced trademark and Lanham Act litigator, representing many corporations in successful efforts to fight and stop infringers. Ms. Wheaton has been recognized as one of the "Top 25 Michigan Women Business Lawyers" as well as one of the "Top 50 Women Michigan Lawyers" by Michigan Super Lawyers, has been named one of the The Best Lawyers in America© for Appellate Practice and Commercial Litigation for many years, and was on the inaugural list of Crain's Notable Women Lawyers in Michigan. She received Dykema's Pro Bono Award in 2017. Appellate work in numerous courts, both state and federal, in matters running the gamut from products liability to taxation, as well as amicus curiae briefs for trade associations, bar association groups and charitable organizations. Products liability defense in numerous class action lawsuits, including hip implants, drug pricing, breast implants, anti-psychotics, tobacco, latex gloves, blood factor concentrate, as well as individual cases involving numerous pharmaceuticals, infant formula, scalpels and syringes, heart catheters, IV technology, chainsaws, chemicals and others. Prosecution and defense of commercial breach of contract matters involving trade secrets, covenants not to compete, leases, sales representative agreements, purchase and sale agreements, and stock option agreements, among others. Defense of First Amendment and libel matters. Defense of medical malpractice and nursing malpractice actions, including the defense of suits against the American Red Cross. "One of These Things is Not Like the Other—Interlocutory Appeals in State and Federal Court,"
"The Who, What, When, Where and Why of Appellate Specialists"
Secures a $2.13 million attorneys’ fee award for client Alarm Detection Systems, Inc.